Novitas Wines is the leading UK importer and merchant of fine Romanian wine. Our focus is the promotion and distribution of quality wines, not only in terms of brand but also grape variety. Our aim is to introduce some rare but prestigious indigenous grapes from Romania that form some superbly tasting wines. This is not surprising, given that Romania has more land under vine than Australia, South Africa or Chile, according to OIV figures, more than any other Eastern European country, which also makes Romania the twelfth largest wine producer in the world and sixth largest in Europe. Boasting an ancient wine culture, Romania proves its immense love of wine in the quality of the end result. The novelty of rarely known European wines has started to fascinate the Old World through the discovery of quality grape varieties, passion in winemaking and love of terroir in a country surrounded mostly by people of Slavic origin but with an ancient Latin heritage. 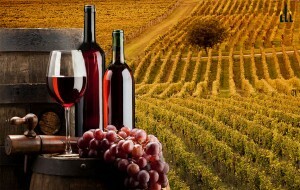 Romanian wines are gaining a new reputation through the various awards and dedicated presence at international wine competitions, which justify the Romanian industry’s confidence in asserting itself globally. Join us in exploring this wine renaissance of quality wines from new Europe!